The American physician, Virginia Apgar is best known for developing the Apgar Newborn Scoring System (better known as the “Apgar Score”), a simple, quick method for judging newborn viability. The newborn’s appearance color, reflex irritability, muscle tone, and respiration are assessed one minute and five minutes after birth; low scores indicate possible health issues. The test has saved countless infants, laid the foundations of neonatology and caught potentially grave conditions. She was one of Columbia University’s first female M.D.s and one of the first American women to specialize in anesthesia. Apgar was born on 7 June 1909 in Westfield, New Jersey. Belonging to a family of amateur musicians, Apgar enjoyed playing violin and other instruments, and became a skilled musician. A Mount Holyoke graduate, Apgar was one of a few women to complete her graduation during the 1930s from Columbia’s College of Physicians and Surgeons (1933). In 1937 she successfully completed a residency in surgery at Columbia. However, she was rejected from practicing surgery by Dr. Allen Whipple, the chair of surgery at Columbia. She finished her training in anesthesia and returned to Columbia in 1938 as director of the newly formed division of anesthesia. In 1938 she accepted the position of the director of anesthesiology at Columbia-Presbyterian Medical Center-the university’s first female department head. Also, she became Columbia’s College of Physicians and Surgeons first professor of anesthesiology in 1949 (a post which she held until 1959), while she also did clinical and research work at the affiliated Sloane Hospital for Women. In 1949, Virginia Apgar came up with the Apgar Score System (presented in 1952 and published in 1953), which became popular in the United States and elsewhere. Before her discovery, babies at birth were assumed to be in good health unless they exhibited some obvious suffering or imperfection: needless to say, internal deficiencies (e.g., circulatory or respiratory) could be missed, resulting all too often in death. Because Apgar realized that “Birth is the most hazardous time of life,” she designed a system for quickly and accurately assessing a baby’s health in the crucial minutes after birth. While examining the system’s effectiveness, Apgar found out that cyclopropane as an anesthetic for the mother had a harmful effect on the infant, and due to which, its use in labor was put to an end. In 1959, Apgar obtained a master’s degree in public health from Johns Hopkins and also obtained an executive position with nonprofit organization March of Dimes. In that capacity, she worked hard to improve the healthcare of infants and children. For the next 14 years, until her death, Apgar served as an activist, fund-raiser and an instructor. In 1995 she was introduced into the National Women’s Hall of Fame. Apgar published sixty scientific papers. Her book Is My Baby All Right? (1972), co-written with Joan Beck became a popular parenting hardback. 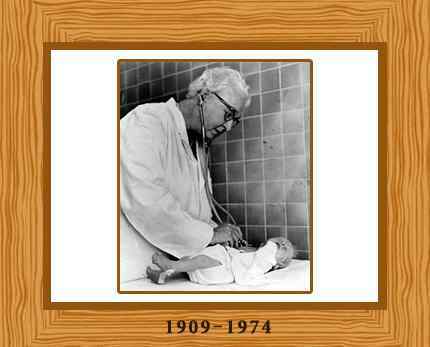 Virginia Apgar died as an unmarried lady on August 7, 1974, aged 65, at Columbia-Presbyterian Medical Center. The Virginia Apgar Award is given every year by the American Academy of Pediatrics for outstanding contributions to the field of perinatal pediatrics.